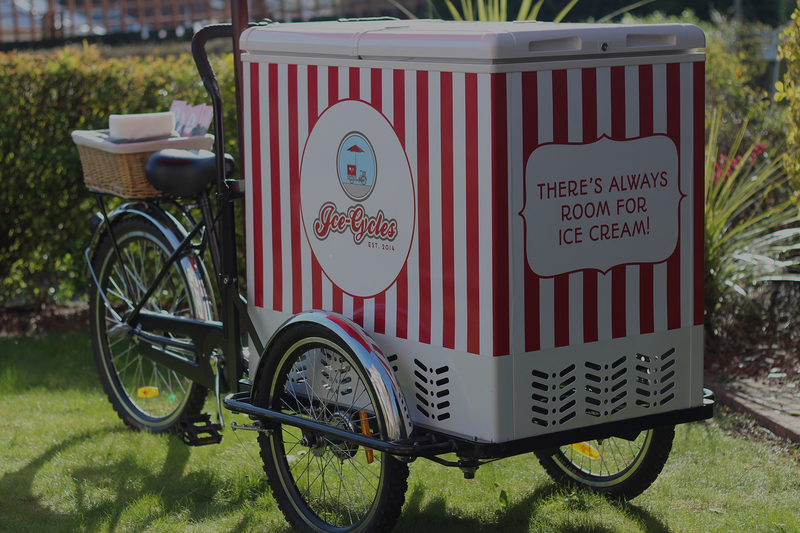 Ice-Cycles offer vintage 1920s style ice cream trikes to add a special touch to any North East wedding or event. Find out more about our services below or contact us now for a quote. 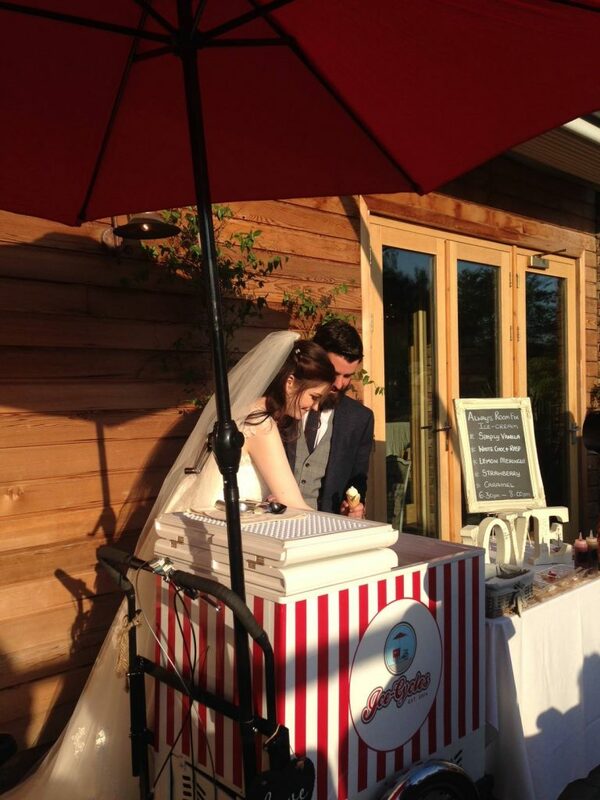 Ice-Cycles offer vintage 1920s style ice cream trikes to add a special touch to any North East wedding or event. 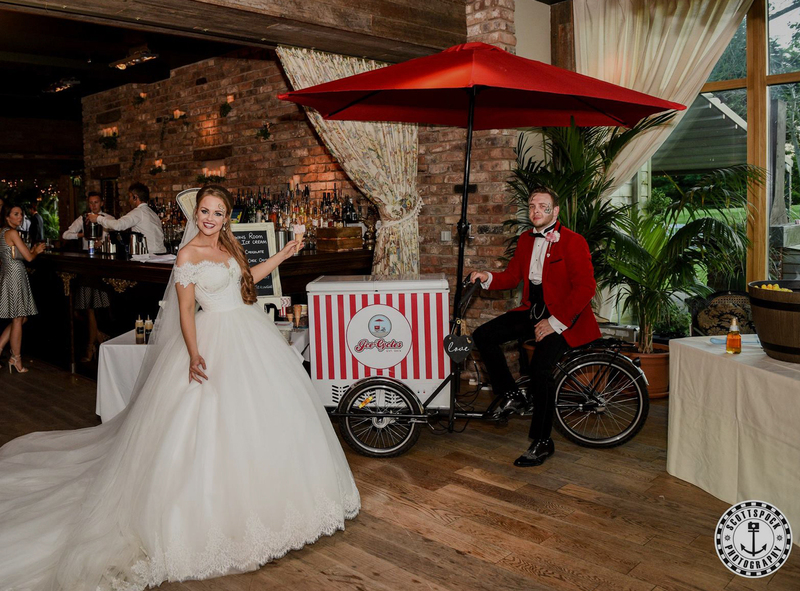 The team at Ice-Cycles have worked in the wedding industry for years and are behind two very well established businesses, LovedubCars and TipiChic. Our standard package includes everything listed below. For an exact quote, please contact us now with your wedding date and venue. Our package includes ice cream for up to 100 guests with 4 flavours as standard chosen from the list below. We can offer specially made flavours too. Just let us know if your favourite flavour isn’t listed! (Please note, some specialist flavours do come at an additional cost). The package also includes all tubs, cones, spoons, sauces, sprinkles & napkins. 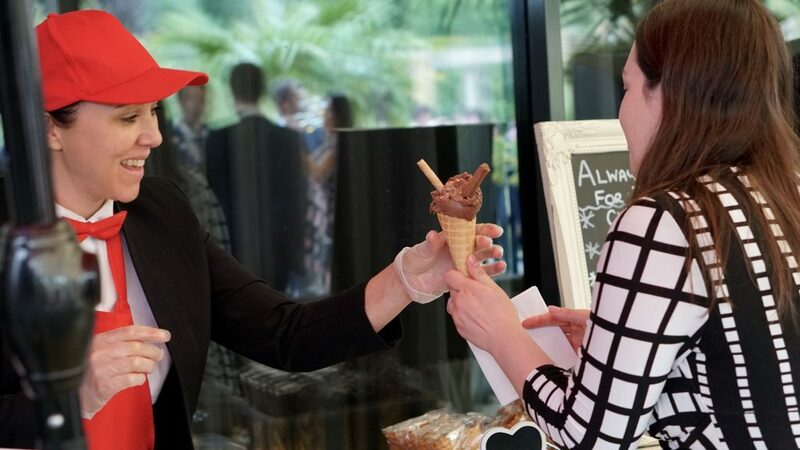 We will be at the venue for a minimum of 90 minutes, after this time you find everyone has usually had ice-cream, but we will stick around to make sure all of your guests are satisfied. Please contact us with your wedding date and venue and we will supply a bespoke quote. 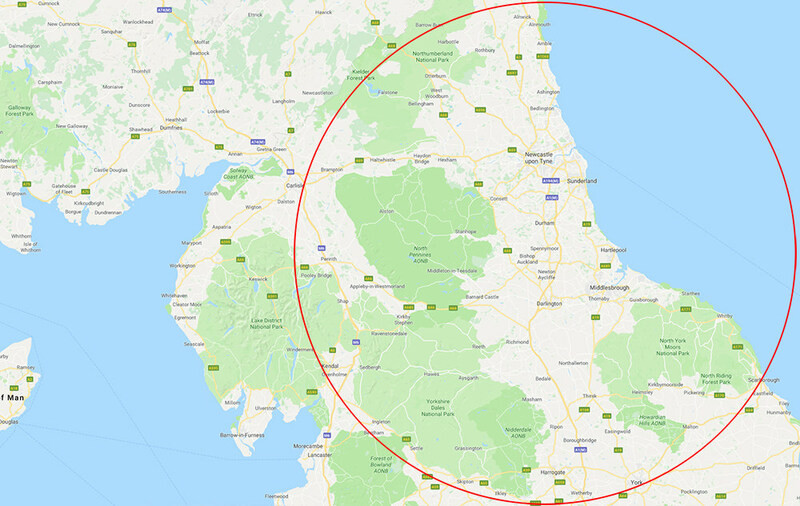 Typically we cover the North East and North Yorkshire regions, from Alnwick down to York. However, Ice Cycles is available nationwide – contact us with your venue location and we will get back to you with an exact quote. After extensive taste testing, the team at Ice Cycles have selected two local ice cream suppliers that can provide us with almost any flavour of ice cream that you can imagine! Our ice cream is of the highest quality and is produced by companies with exceptional track records in the food production industry. As standard, we offer four flavours chosen from the following. Should you require any specialist flavours that are not on this list, please contact us and we will endeavour to have these created by one of our local suppliers. Contact us using the email form to book Ice Cycles for your wedding or event. We still have some key dates available for 2019 and 2020, but these are filling up quickly. We look forward to hearing form you and being part of your big day! Where did you hear about Ice-Cycles?